Built in 1893, this former inn is the rarest of opportunities to own a substantial asset in the heart of Telluride's historic district. Set on an over-sized lot of 5, 875 square feet, the large Main House & separate Guest House are perfectly suited as a primary residence or second home which generations of friends of family will enjoy. 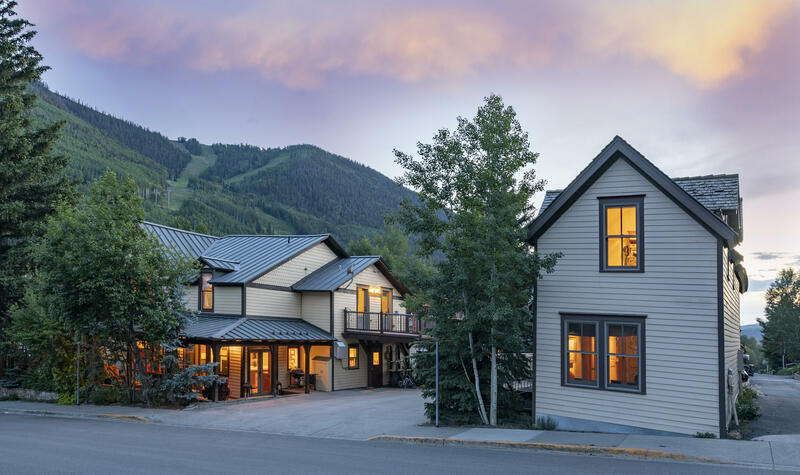 Located within 2 blocks of restaurants, shops, skiing & the Gondola, the property is central to all that downtown Telluride offers. With multiple parking spaces, elevated tub deck, covered porch, south facing decks and a combined 8 bedrooms, this assemblage presents a remarkable opportunity to further expand, upgrade or redevelop. Purchaser shall receive a substantial credit at Telluride Helitrax or Black Canyon Anglers.